>> In the workshop we will meet ourselves differently from how we know ourselves in everyday life, through discovering many diverse voices that are kept in our body. We will go through the process of shifting the awareness towards inner listening and tuning in with our own emotional streams and body impulses. By listening closely we can get to know more deeply not only ourselves, but also our own voice material, expressions and songs already within us. The first part of each day includes warming up the body and voice individually, followed by work in couples and groups. The work will unfold our voices through intense physical and breathing exercises, through different types of massaging the body and positioning it in order to listen and hear the stream of emotions while opening the body resonators. The ‘motion of emotions’ will become physical, tangible and also musical. In the next part we explore the connection between movement and voice by tracing the physical impulses through improvisational tasks, observing how sound, breath and movement follow and complement each other. Through hands-on work in partners we can unravel our personal voice identities, that offer us mirrors reflecting our strengths and fragilities. Working with breathing and deep relaxation, we resonate with and listen to our voice, arriving to our own rhythms and melodies which we organically carry within us. This experimentation with sound will make space for different facets and stories to emerge and be amplified within the shared space. By moving the space with our own voices, we will gain the sensation of how we can touch our surroundings and the others through sound. Each day we will finish the work session with individual and group singing. During the week we will work on an old folk tune, most probably from the Slavic oral tradition. Just by singing the song - as simple as singing can be - we will learn the patience and receptivity of ‘receiving from the song’ rather than ‘doing the song’. The song has already existed for many decades, so the work is more about being open to the song and listening to what it can teach us about ourselves. >> Irena Z. Tomažin is a Slovenian performer, choreographer and a voice teacher. The (heart)core of her work is the voice in its various existence. 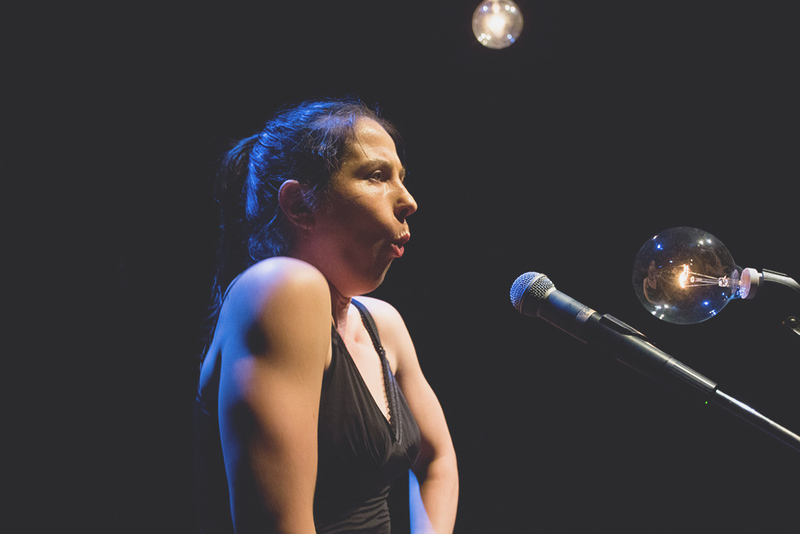 Starting out her dance education from the urge to move and release inner tensions and inspirations, her performance practice has since then shifted towards the investigation around the embodied voice. Her voice work is always physical, connected with body, gesture/dance and space, but at the same time is very oriented towards the sound textures of the voice. Her practice manifests in the form of thoughts, songs, spoken word events and experimental concerts, as well as through directing dance and theatre work. Sometimes it rises from the encounter and collaboration with other artists, other times from being alone, making space for listening to what is outside and inside. In the last 20 years, next to collaborating with other artists and performing in different dance and theatre productions, Irena has created a series of voice and movement solos, duets and group pieces: Hitchcock’s Metamorphoses with composer Mitja Reichenberg (2001), Caprice (2005) , Caprice (re)lapsed (2006), Like a raindrop into the mouth of silence (2008), Out of discord with Berlin based dancer Josephine Evrard (2010), Taste of silence always resonates (2012). The latter was awarded from audience and jury for the prize of best performance on the International Gibanica Festival/Ljubljana. 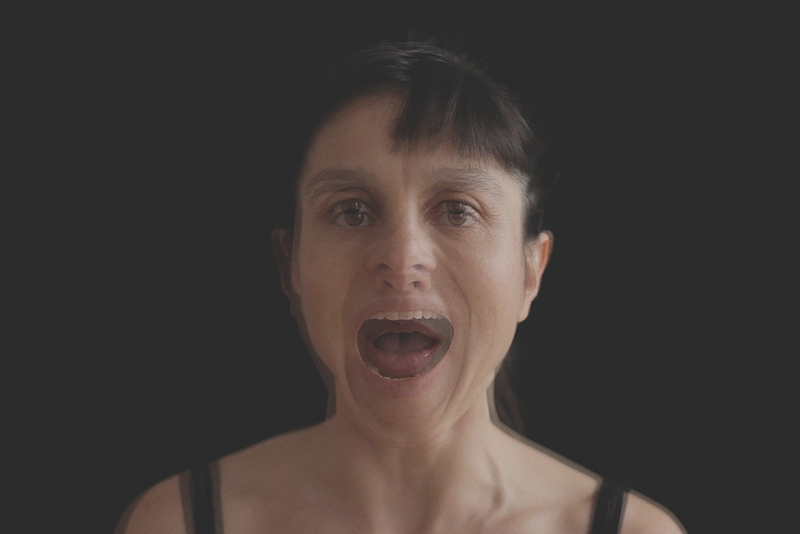 In 2015 she created the audio-visual installation Faces of voices / noise, which later developed into the dance solo Body of Voice. Her last piece Moved by voice (2017) is a quartet for four women, and further investigates the multifaceted aspects of voice and body. Whatever she has created till now feels somehow unfinished, and opens up more questions and directions of research that she keeps investigating. Next to creating her own work, Irena has collaborated with directors and choreographers as Tino Sehgal, Christian Kesten, Anne Hirth, Matej Matejka, Maja Delak, Mala Kline, Mathieu Copeland, Josephine Evrad, Janez Janša/Emil Hrvatin, Dragan Živadinov, Bara Kolenc, among others. As an experimental voice artist Irena is involved in the European scene of improvised music and has ongoing collaborations with some of the world's most renowned sound improvisers (Michael Zerang, Okkyung Lee, Christof Kurcmann, Seijiro Murajama, Xavier Charles, Lee Patterson, Liz Allbee, Ilya Belorukov, Tomaž Grom, Jonas Kocher, Gudenz Badrutt, Orchestra 33 1/3 and with composer Matej Bonin). She has released two solo albums Crying Games and Taste of Silence and a duo album Ljubljana-Wien with Christof Kurzmann. Irena is as well a member of the cult electronic-industrial band Borghesia and has released two albums with them: And Man Created God and Proti Kapitulaciji. As a teacher, Irena shares her work regularly teaching workshops in Europe, having taught in many international festivals and venues in France, Germany, England, Switzerland, Sweden, Belgium, Serbia, Croatia, Macedonia, Italy, Hungary, Poland, Austria, Japan, Lebanon, Iran, Greece, Bosnia, Slovakia, and US.